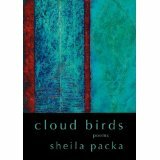 “Not Forgotten” by Sheila Packa, from Cloud Birds. © Wildwood River Press, 2011. Reprinted with permission. Grabbed from: The Writer’s Almanac. May 18, 2011. I dedicate this poem to my daughters, Katie and Clara. The older of the two (Katie) can ride without training wheels and has exhibited a small hint of what the poem above describes. The younger of the two (Clara) will probably learn to ride without training wheels this summer. I think she is a bit young, but she is committed to doing what her sister does. Will I let them race bikes in a few years. Not a chance. No way. But, seriously folks, what choice do I really have in the matter? Next thought…should I get the new super-awesome saddle with carbon-braided rails, or should I save my money for when my daughters ask me to buy them carbon-braided rail saddles? Should I mention that I raced in a real bike race last week? More later.